"Every step is carefully executed, each movement an absolute force, each dance sequence created tremendous fascination for the audience." Curiously, it was two Frenchmen who gave life to the myth of Spain and its women. Prospero Mérimée with his tragic novel and Georges Bizet with his fiery and passionate opera. Carmen prefers death to falsehoods or the denial of freedom. Her love is as absolute as it is brief, given only at the peak of its intensity. With Mi Carmen Flamenca ('My Flamenco Carmen'), Antonio Andrade and his Andalusian Flamenco Company present an adaptation of the famous Carmen (Bizet) in a production that incorporates elements of jazz, Arabic music, Salsa and Flamenco. 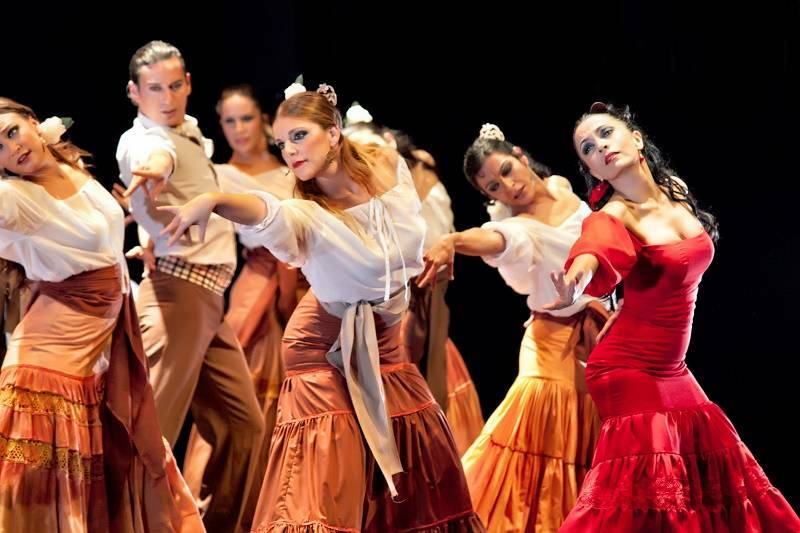 After all, Carmen takes place in Sevilla, the cradle of Flamenco. Mi Carmen Flamenca reshapes the classic opera, both in music and dance, recreating some traditional Flamenco moments and exploring the spirit of a new Flamenco. The production premiered at the Deutsche Opera in Berlin and has since been performing in the best theaters worldwide.